“I saw a need for a legitimate, elite girls travel basketball program in our area. Before we formed our organization, I was driving my daughter nearly two hours south to practice for a national level team. 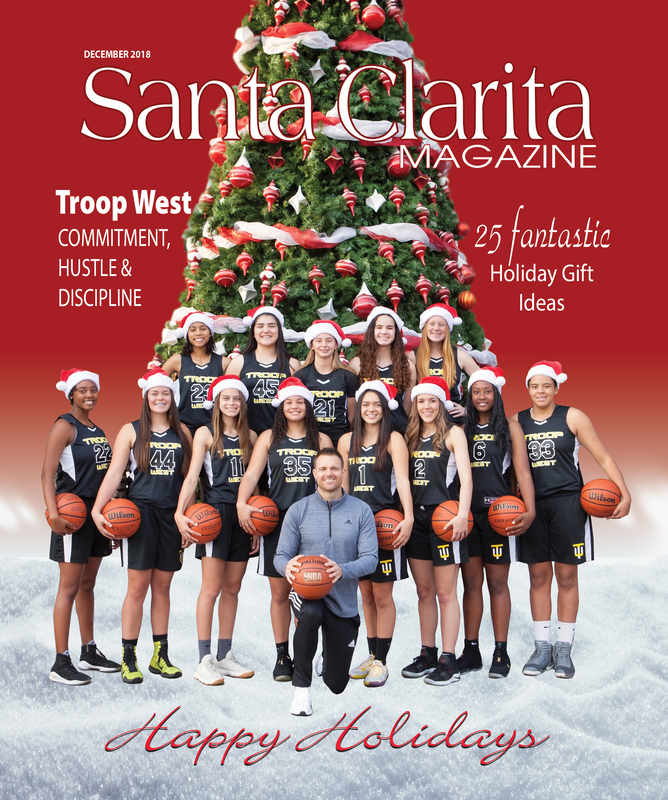 I knew we could fill the need for it right here in Santa Clarita,” said Derek Ballard, creator of the Troop West Basketball program. It has been rumored that college basketball recruiters do not come over the hill to look for players, so many of our most talented girls drive south to get exposure. What began in just March of this year, has exploded so quickly that the girls were recently sponsored by Adidas through their grassroots program, the Adidas Gauntlet. The Gauntlet series is a three-stop travel team circuit for Adidas sponsored teams to gain exposure in front of college coaches, media outlets and their peers. Teams face high level national competition allowing players to prepare for the challenges and opportunities they will ultimately face in college. It is an amazing opportunity, and the girls have worked incredibly hard to achieve recognition from Adidas and other brands. Because of this, Troop West has become the first and only program north of downtown Los Angeles to ever be sponsored by Adidas or Nike. This coming year will be a true test for the girls in their second year as they play in the Gauntlet. The program is holding tryouts in March 2019, and Derek is confident they will establish 2 national and 2 regional teams. All of the girls live within an hour of Santa Clarita, expanding out to Ventura and Camarillo and Derek only holds practice two to three times a week so it is manageable with the students’ school schedules as well as their parent’s responsibilities. “It’s important that we run focused, confidence-building and productive practices. Being an organized program with solid fundamentals is very important for us, and the girls have responded well to the coaching. We expect them to play extremely hard, and to play as a unit, and if they continue with that they will always have success,” Derek shared. Unfortunately, while the girls are sponsored by Adidas, that is not a full-ride sponsorship like many of the Nike or Adidas boys’ teams. What this means is, that when boys’ teams are having everything paid for, the Troop West Girls must raise nearly $100,000 for them to have the same opportunities. The girls are supposed to travel to Dallas, Indianapolis, and Atlanta next season. “Our families cannot afford to pay anywhere near that kind of money, so we are hoping the people of Santa Clarita will help us. The inequity is plain to see, and I want our girls to see how many great successful women leaders we have in our community that are not only successful, but also extremely influential and willing to help,” Derek says. It’s an amazing opportunity for these young ladies to compete on a national level and earn scholarships for college. In fact, Derek currently has seven young athletes being recruited by Division I colleges. His formula is working, and they just need our support.